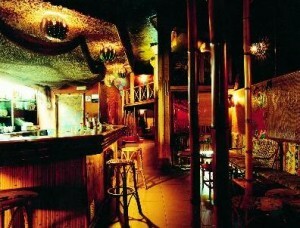 Hawaiian good bar has nothing to do with the typical bar that can be found in Barcelona or in any Western city. 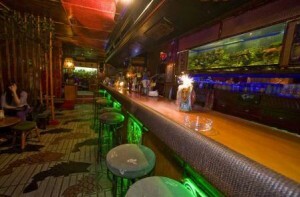 Hawaiian bars are places where to enjoy a unique and relaxing environment in which the only difficulty is to choose which original drink you will have. Appearance and furniture of this kind of bars are so awesome that the only thing you may miss is the beach. Exotic drinks served in impressive Tiki ceramics for enjoying not just its taste but also the whole of your drink. Careful as some of the drinks may be aphrodisiacs. The appearance of the bar makes you feel being involved in nature as you are indeed surrounded by lots of plants. Drinks are not cheap but the experience of the place worths it. 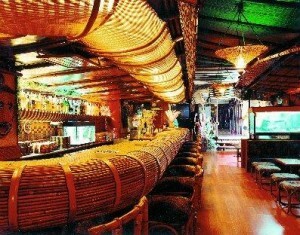 Bar adorned with original details mainly highlighting bamboo canes so typical of the Polynesia. Great variety of interesting drinks. As Kahala, drinks served may not be cheap but the experience of the place worths it. Same as the others, it has the typical and refreshing appearance of a Hawaiian bar making you feel in other place and in other season. Great variety of interesting drinks. As the other 2, drinks served may not be cheap but the experience of the place worths it.